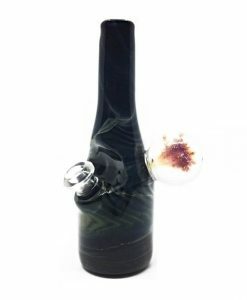 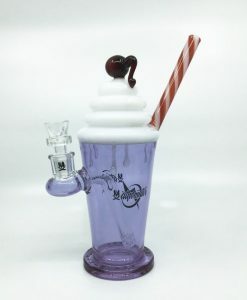 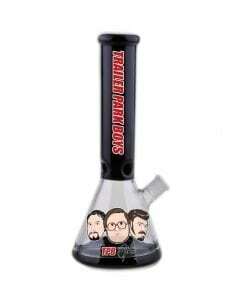 This Water Pipe features a triple honeycomb disc percolator. 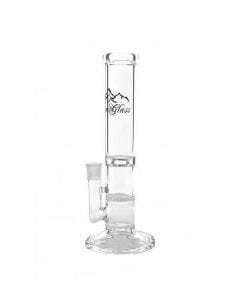 This Alpine Glass Triple Honeycomb Water Pipe features a triple disc 96-hole Honeycomb percolator, a quadruple circle perc and an ice catcher! 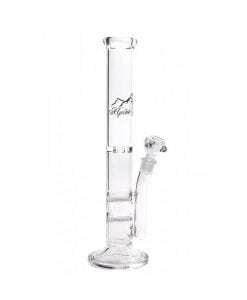 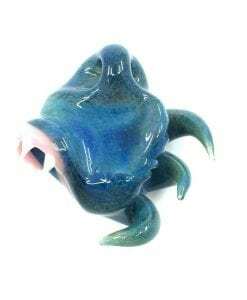 This water pipe is made from thick glass and has a stemless 90 degree joint. 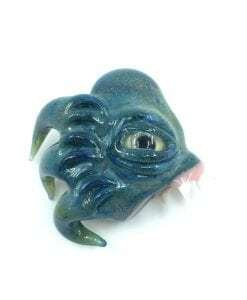 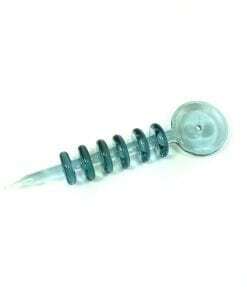 Includes 18mm Male slide. 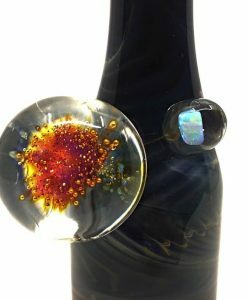 Alpine Glass has developed the new standard in hand blown borosilicate (aka scientific) glass. 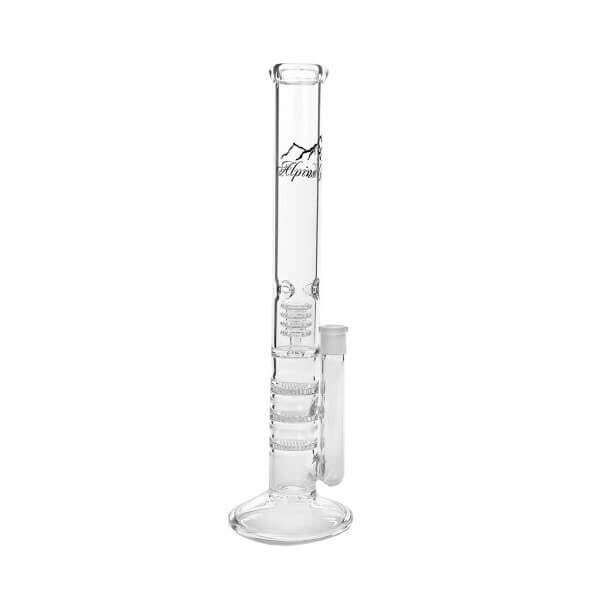 These water pipes are pure high quality, high level craftsmanship with high durability that allows users to experience new heights.